At the Chicago Auto Show, Toyota’s big news was a collection of updates for their 2019 TRD Pro Tacoma, Tundra and 4Runner to jack them up just a little higher on the scales of off-road buyers. 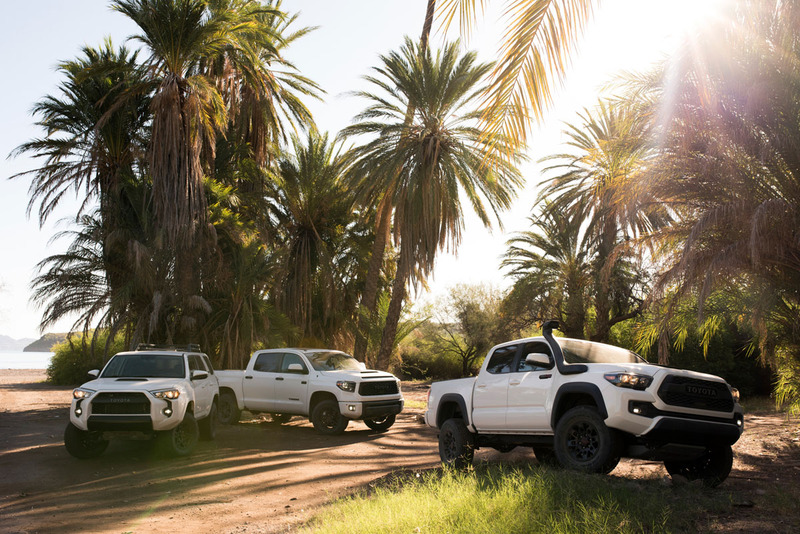 The TRD Pro variants of the Toyota Tacoma and the full-size Tundra pickups along with the 4Runner SUV have been overwhelmingly popular. 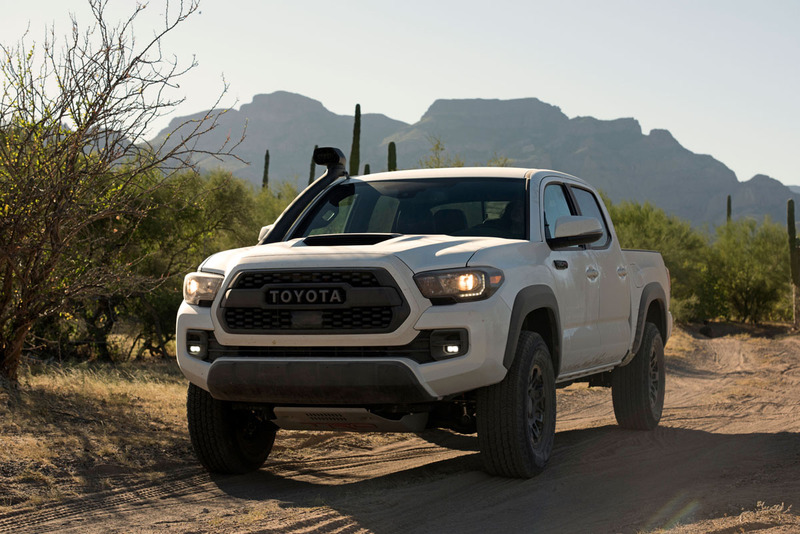 For 2019 Toyota has added updates across the board to bolster the off-road cred of each model, giving each one something just a little different to set them apart. 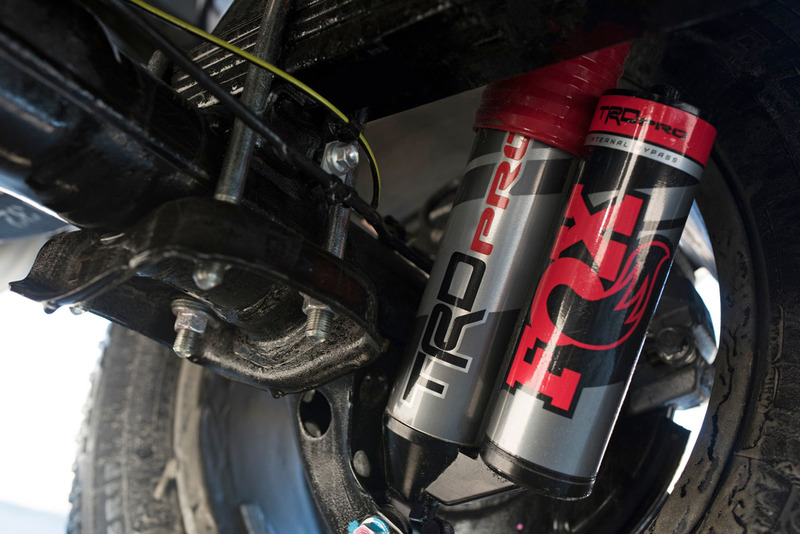 All three of them will get Fox 2.5-inch internal bypass shocks and taller TRD off-road springs at the starting gate. Additionally, they will be only available in three colors; Super White, Midnight Black and this year’s feature color will be Voodoo Blue, returning from the FJ-Cruiser. Styling touches remain blacked-out aluminum alloy wheels, heritage design TOYOTA blacked-out grilles, and blacked-out trims and emblems all around. These however are where the similarities stop. 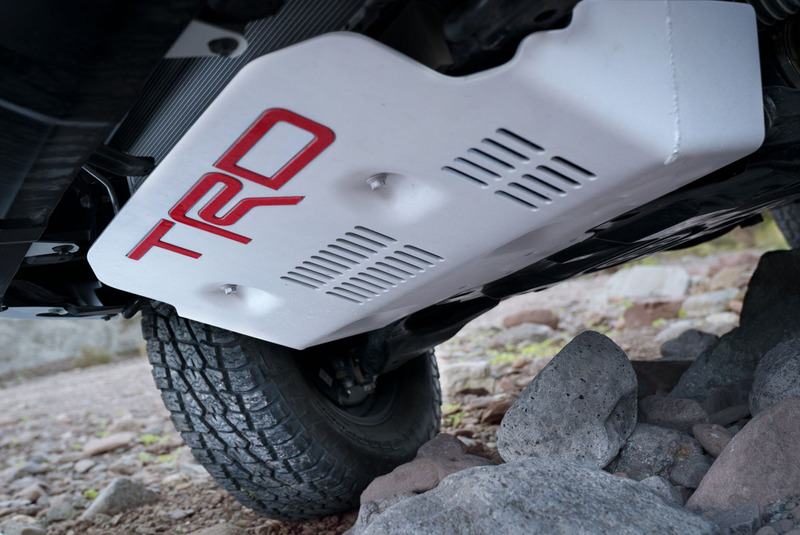 The 2019 Toyota Tacoma TRD Pro gets an updated front skid plate with TRD red lettering and at the back you will notice a black chrome tip on the TRD exhaust system. Redesigned 16-inch blacked-out alloy wheels also give it a 1-inch wider track. The big news of course is its new strap-on. 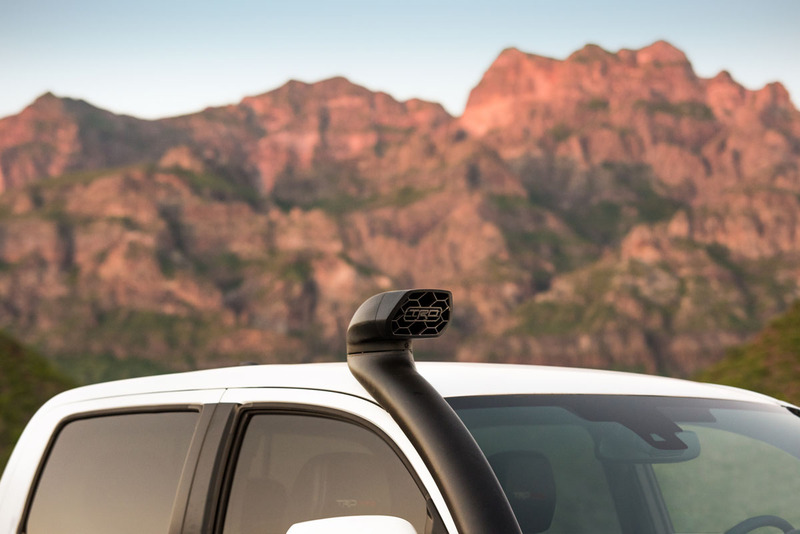 Optional is the TRD Desert Air Intake that can feed clean or dry air into the Tacoma’s 3.5-liter V6. 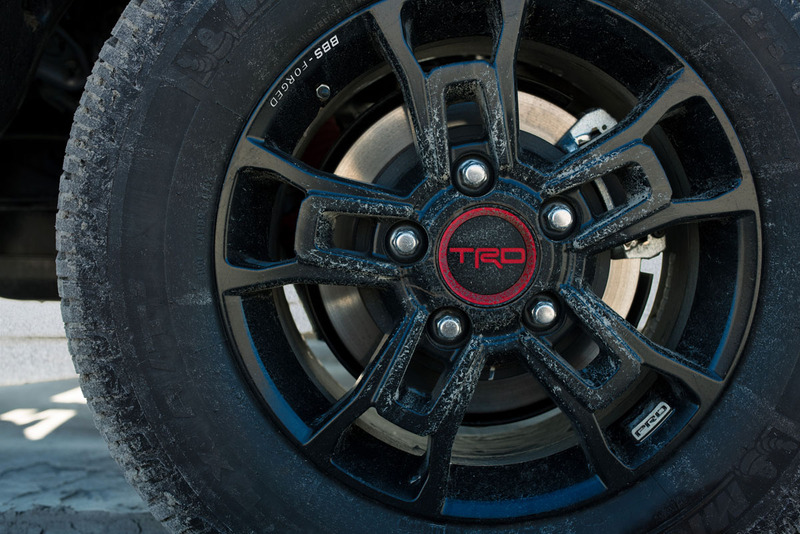 It looks hot of course and accentuates what the TRD Pro is all about. 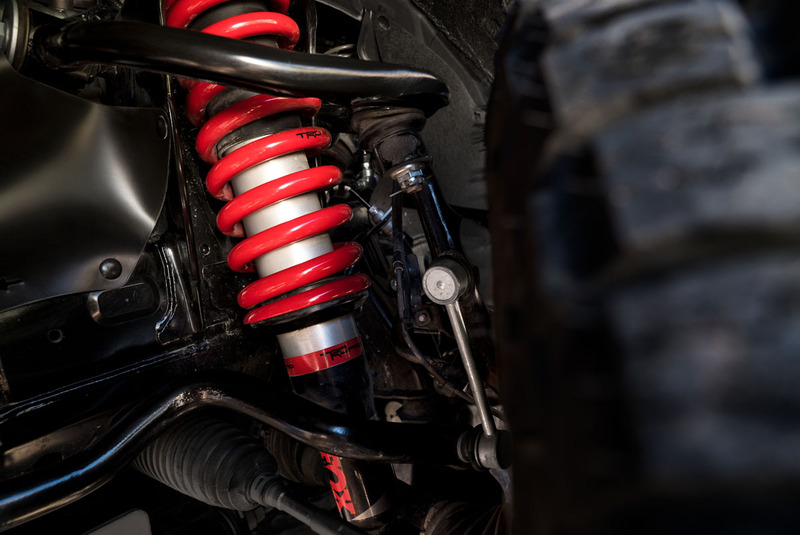 The 2019 Toyota Tundra TRD Pro gets the Fox shocks and springs that give it 2-inches of lift and additional suspension travel all around. New lightweight BBS TRD alloy wheels tie down the look along with the blacked-out grille treatment and Rigid LED fog lights to go along with its LED headlamps. 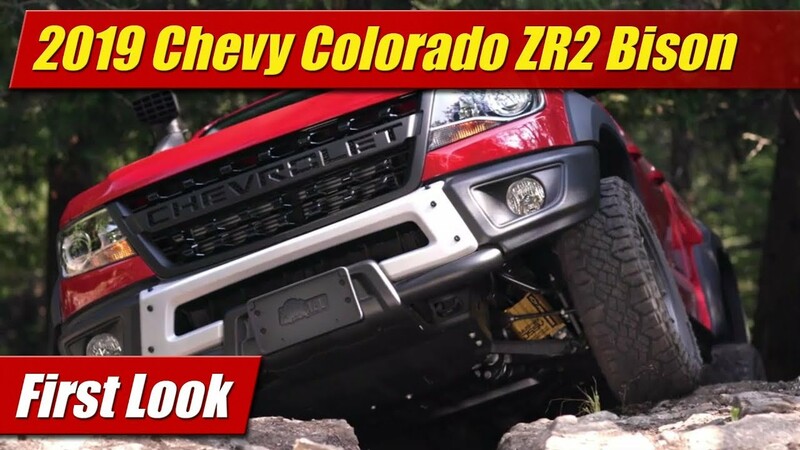 On the hood you’ll notice a new scoop for extra bling and like the Tacoma the TRD skid-plate us updated as well as the black chrome tip for the big exit pipe. Carrying on into 2019, the Toyota 4Runner TRD Pro also gets its own new visuals. Most notable is the aluminum roof-rack that has a distinctly aftermarket vibe yet integrated only like a manufacturer would. A new 17-inch alloy wheel design gets a new offset to five it a wider track front and rear which Toyota says gives it more stability than before, a good thing. 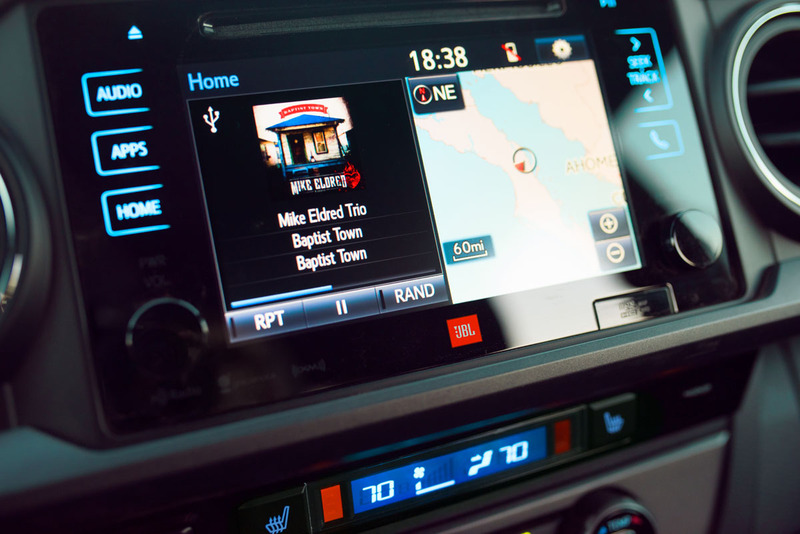 All three TRD Pro models get a top-line standard Entune Premium JBL Audio system with Integrated Navigation and App Suite. The interiors too get a vast array of upgrades and visual enhancements like TRD logos on everything from headrests, to floor mats to the shift knobs. 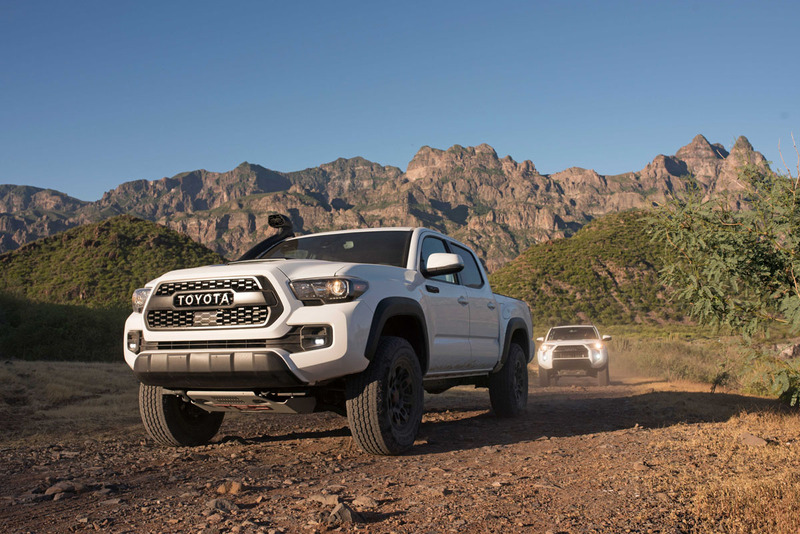 The 2019 Toyota Tacoma, Tundra and 4Runner TRD Pro will arrive at dealership late this year with pricing to be announced closer to that time. Be sure to collect all three.